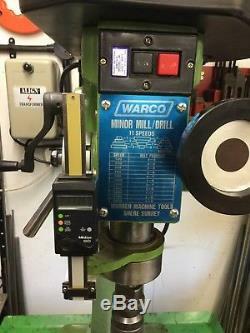 The Warco Minor Mill/Drill is a very robust machine and its done everything Ive asked of it. 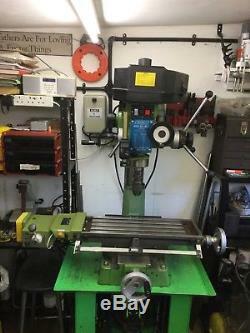 The machine is in great condition, There are no dig ins or unwanted drill marks on the table. The slideways are showing very little signs of wear and it remains very accurate. 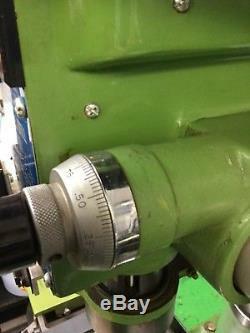 There is an inch/metric readout fitted to the longitudinal axis and also the vertical spindle movement. The lead screws are metric. 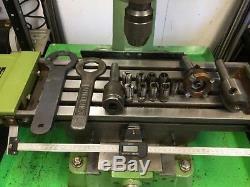 Included with the machine is a Clarkson auto lock chuck with 9 collets. 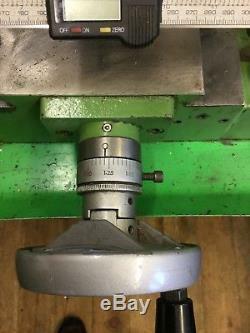 A 70mm dia face milling cutter a 16mm dia shank end mill holder and an Albrecht 1/2 precision keyless drill chuck. 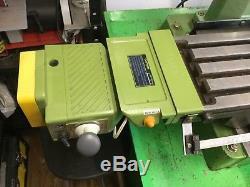 Also included of course is the X axis Align automatic variable speed traverse with rapid override button. Regrettably the paint chips as seen in the photos are also included. Please note: The stand is NOT included in the sale. 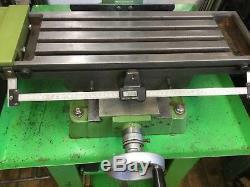 Table Size: 585mm X 185mm. 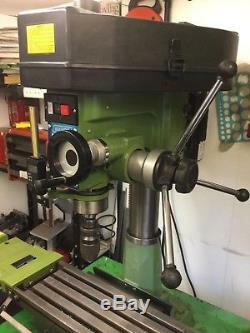 Max distance spindle to table: 355mm. 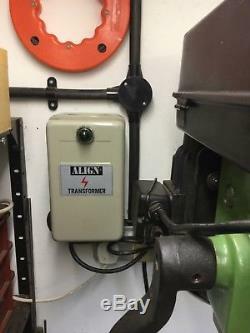 Power: 240 v 1hp motor. The machine because of its weight will have to be partially stripped to move it. 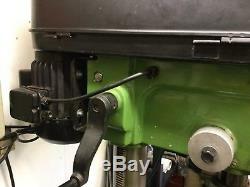 I shall be happy to assist in the moving of the machine thru the garden from my workshop to your van/trailer. The item "Warco Minor Mill/Drill Machine" is in sale since Thursday, November 15, 2018. 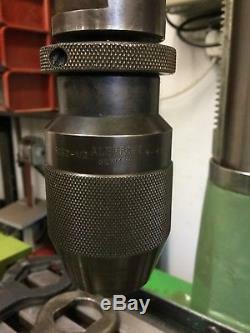 This item is in the category "Business, Office & Industrial\Metalworking/Milling/Welding\Milling". The seller is "keithkswifty" and is located in Lichfield. This item can't be shipped, the buyer must pick up the item.